Nike’s “Unlimited” campaign continues with a new ad, titled “Unlimited Winning with KD”, featuring a young boy named Tim, who can’t be limited to just one sport. 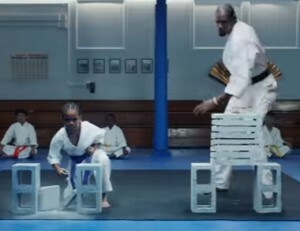 The idea behind the 15-second spot is that he can be a star football player, a star volleyball player, a star check player, and even a karate player. When the voiceover says that he cannot be the star of every sport, the answer comes from Kevin Durant, who says: “Yes, he can”. You are invited to begin your story at nike.com/justdoit.